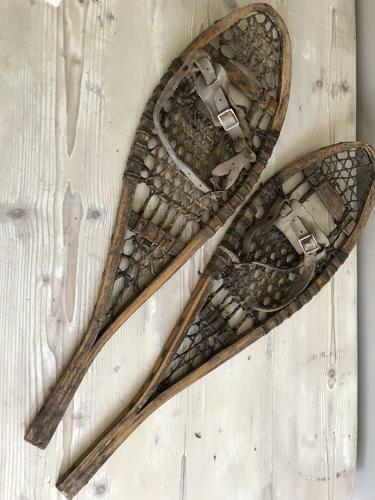 Rare Vintage Child's Snow Shoes of wonderful small size. I have never seen any so small. They are in excellent condition and complete with straps etc. Original bentwood and Cat Gut construction would look great on office wall etc.